Positive: Compact size; light weight; elegant design; powerful hardware; high mobility; nice gaming performance. Positive: Compact size; good price; decent hardware; nice performance. Positive: Compact size; light weight; excellent display; good connectivity; nice design. Positive: High performance; good price; quick charging; nice design. Positive: High performance; solid workmanship; nice design; compact size; light weight; nice display; good ergonomy; nice connectivity; fast charging. Negative: Weak hardware; short battery life; no SD card reader; high price. Positive: Nice design; decent performance; good display; low price; pleasant ergonomy; good touchpad. Negative: Uncomfortable keyboard; poor webcam. Positive: Fast system; nice display; decent cameras; good cooling system; long battery life; fast fingerprint sensor. Negative: Mediocre ergonomy. 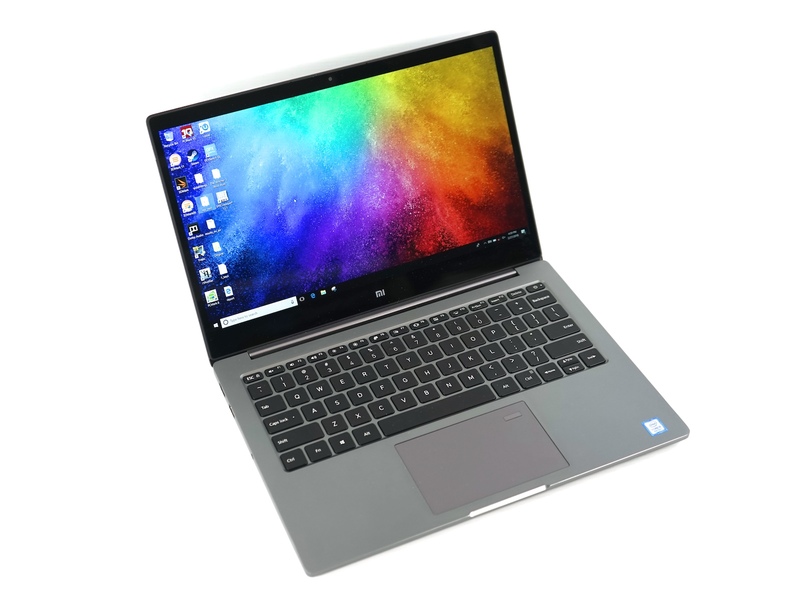 Model: After being released on January 2018, and being the second revamped version of the laptop, the Xiaomi Mi Notebook Air 13 2018 model, is now in dark grey and it supports an Intel Core i5-8250U processor of high-efficiency power and has gained additional 40 percent more performance. It has even improved on its cooling performance. It runs on Microsoft Windows 10 Home 64 Bit and has a screen size of 13.3 inch with laminated glass and resolution of 1,920 x 1,080 pixels. The screen comes close to the Dell XPS 13 with a very thin bezel of 5.6 mm. The laptop is known to be the second notebook of Xiaomi to showcase the 8th-gen Intel “Kaby Lake Refresh” processor options, as the first was the 15.6 inches Mi Notebook Pro. With the new Fingerprint identification feature, this laptop amazes its users with the ability to lock and unlock the laptop with just the mark of the fingerprint. The support Microsoft’s push to enabling more laptops with Windows Hello features. The Mi Notebook Air 2018 comes with a full-size backlit keyboard of 1.3 mm key travel and 3 nits brightness. Like all the high-end laptops, it features a glass touchpad to precisely control the cursor and also enable a multi-finger gesture control, such as full screen scrolling, switching programs, screen scaling and other gestures. It also features an Nvidia GeForce MX150 graphics to allow high performance particularly for gaming benefits, which is better compared to its predecessor. It can even support up to three screens displaying different contents and dual 4k video playback, which supports 2 external 4k-resolution devices, that contain Full HD display. The laptop features 8 GB of DDR4 RAM, which is a substantially high bandwidth RAM that allows smooth operation of games, photos, and video-editing applications. Besides this, it also comes with a 256 GB PCle SSD. This means that the Xiaomi Mi Notrebook Air contains a chip that reads instructions faster compared to other memory cards, thus making performance run smoothly, at a fast rate. The SSD card expansion (M.2 SATA) allows for sufficient storage. Interfaces range up to 2 USB 3.0/ 3.1 Gen1, 1 USB 3.1 Gen2, 1 HDMI, and a 3.5 mm headphones jack. Its networking capabilities include an Intel Dual Band Intel Wireless AC 8265 WiFi which allows for high-speed surfing, Bluetooth 4.1, LAN, and WLAN cards. AKG Harmon speakers ensure a proper sound experience. This laptop also supports 1.280 x 720 pixels video talking by utilizing the 1.0 MP front camera. Its 4-cell lithium-ion-polymer battery, supports a 1C fast charge, operating within 30 minutes to generate a power charge of 50 percent, through the USB-C power adapter port. It allows for 8 hours online video playback, 7.5 hours local video playback, and 7.5 hours web browsing. 85.09%: This is a good rating above average. Nevertheless you should not forget, that 10-15% of all notebook-models get a better rating.